MN2S are excited to announce the exclusive signing of Ruby Bhogal. Ruby recently appeared as a contestant on Channel 4’s hugely popular competition series The Great British Bake Off. As a Bake Off finalist, Ruby stole the show with her bubbly personality and glamorous appearance, swiftly becoming a favourite with fans, judges and contestants alike.A strong, self-assured and intelligent woman, Ruby is more than just a star baker: she is a philanthropist, health and fitness enthusiast, fashion and beauty influencer. 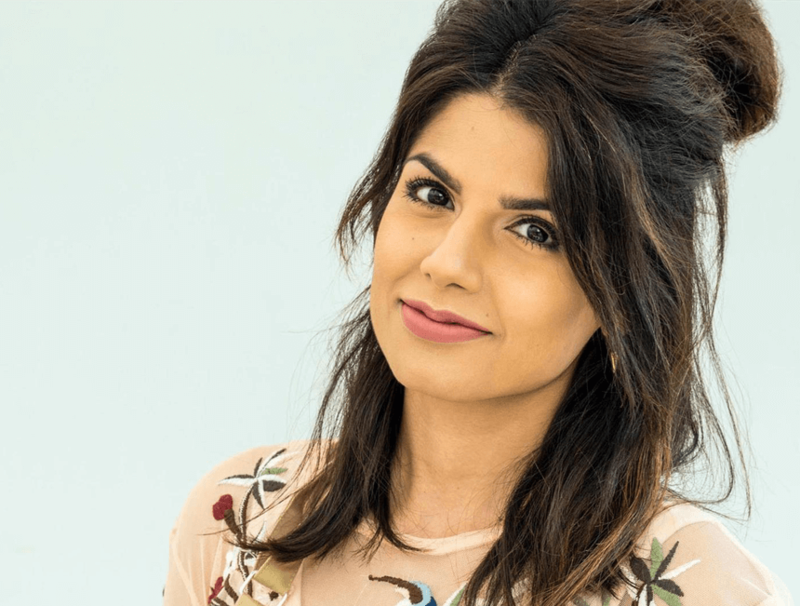 As a style-conscious fashionista, she has a keen interest in beauty – but is a strong advocate of cruelty-free products, working alongside charities to further the cause. With a degree in Architecture and Construction, she is also eager to promote the cause of “Women in Business”, especially in the construction industry. An avid traveller with both Indian and African heritage, Ruby is looking forward to exploring more of the world: she has plans to rediscover her roots, travelling and learning new culinary skills to add to her ever-growing arsenal. Ruby is available for Social Media Campaigns, Brand Endorsements, Event Attendance, Gifting, Corporate Speaking, Personal Appearances, Demonstrations, Interviews, Hosting and more.Many more famous faces from the world of food can be found on our talent roster. British field hockey player and Olympic Gold medallist Sam Quek has appeared in an Instagram campaign for the Responsible Gambling Week initiative….